Notes: Estate overlooking the Thames in Chelsea. 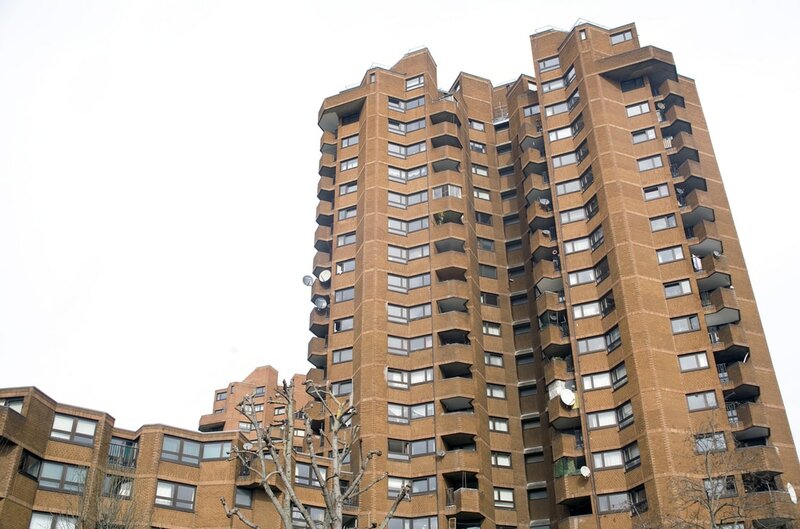 The estate is constructed using red brick, with the towers designed in a polygonal module. The site houses 2500 people, and includes shops, a school a church and a community centre.